My name is Jose and I am a military servicemember currently stationed in Southeast Asia. 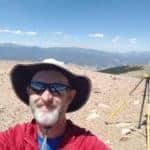 I joined the forum because I am fairly new to surveying, which will be part of my job while here, and I was hoping to get a civilian perspective on things. More specifically, i was hoping to get a solid mission planning and workflow process going so that i can apply it to my assignments. Although the military has supplied me with some training it wasn't comprehensive and thus i need to fill in some training gaps. I will be working with Trimble equipment (4 x R8 GNSS Receivers & TSC2 Controllers) and was wondering what a good flow for setting up an initial site for surveying looks like. I have a baseline for how GPS/GNSS works and for operating the equipment and have already completed some simple surveys, but i realize there are alot of factors to consider. For example...Do you have to initialize over a point before using any of the surveying methods on the controller (i.e. PPK, RTK, Fast-Static, etc.)? How many points minimum should there be for control points? After a survey does all data need to be post-processed or just the static points? Any help or guidance in getting a pretty good process for work going would be greatly appreciated. Thank you any and all for your help and I hope that i can also return the favor and be of assistance in some way in the future. Your situation reminds me of when I took a job with a surveyor that became one of my most influential mentors. I started out in June and worked with two others that were seasoned surveyors on various land projects for about two weeks for them to get the feel of me and what I could do for them. The begining of the third week, the surveyor said he was sending me to Longview, Tx to start groundwork for a new Mall. Went out to the truck and there were two high school guys about 16yrs old that were as green as they come and me a year out of college. I know that you will learn the limitations of your equipment by use and stay within those limits and you should do fine. Others on here will drop in and give you more on that because me telling you what R8s are capable of would be beyond my limits. Use the search bar found at the top right of each page "magnifying glass icon" and your will find past discussions that will help you on your way. Are the TSC2's running Trimble Survey Controller? Do you have an RTN network to work off of or is it all Base/Rover & Static? Thank you very much for your anecdote. I feel I am headed towards that same conclusion. In my situation we are currently a team of 4 with only the basics to go off of and we are certainly learning on-the-fly. Unfortunately some logistics issues prevented us from having our own equipment so we had to borrow GPS/GNSS from another agency. We were used to using Trimble 5600's and a military version of GPS/GNSS receivers so using Trimble R8's has been a bit of a learning curve for us. I am confident we are making headway however, and I am beginning to learn the limitations of the equipment. Many afternoons have already been spent reading manuals and various posts from this forum and others to get a better idea of how the R8's work. I have taken your suggestion and am already looking over other posts regarding what I need. Thank you for your feedback and post, I will definitely be posting more questions and/or comments in the future. We are running Trimble Survey Controller on the TSC's. I have not set up an RTN network as I have yet to learn about that and how it would fit into our work plan. We are basically getting control points using Static and Fast-Static and then using RTK and/or continuous topo to get a good depiction of flood areas for elevation and contour layout. We are setting up a base and using one or two rovers depending on the size of the area which for now are relatively small, i.e. 3600 square feet on average. I hope your training class included providing you the following manuals that I consider very good. 1 - Initialize over a point? Using the R8 - you can use any point you want for a base point and once it is running you can then survey all day because all of your work is based on that base point. Now the question comes to the quality of the base point. It could be autonomous position or you can take static data and post process it to get a better position. Not sure of southeast Asia network of reference stations. 2- minimum control points? With GPS you really only need one control point. If you are using a total station, you need a minimum of two. I usually set a couple on site just because it is inevitable that someone while destroy one or more of the control points. 3- post processing? Only thing that needs to be processed is the static data. RTK data has already been processed in the data collector. My work flow is: set a control point onsite and setup the base as RTK/static that turns on data collection of static data and run as long as possible. Then start the rover up as RTK and set a couple more control points. Then using the rover, pickup all the data needed onsite. Switch to static collection if I need it (I rarely use this). If I have to use a total station, setup on the control points set and turn angles and get the data I couldn't with it. Take down the equipment. Return to the office and download all the data. Send the static data to OPUS/RTX to get a corrected position. Process any static data. Export to a CSV file. Import to CAD. Hold the OPUS/RTX point and move all the other data to the new point. And then start drawing. Of course this is over simplified. There are many other things that can be added or done differently (as I am sure others will point out). Hope this helps. Good luck and keep asking away. Besides the USACOE manuals referenced above, this is another good resource. Jose, Welcome aboard, you came to the right place. I’m sure you will get the help you need here! Although we did not cover it, we did receive a digital copy of the Control and Topographic Surveying manual. Now that I know where to go however, I will utilize the USACE publications webpage for the other manuals that are on there as well. That is a very good description of what I was looking for. I had a similar idea of the "survey process" in mind but I guess I needed validation from someone with more experience. This helps a great deal as I will be incorporating much of how we operate into an SOP. You are correct, your explanation may be oversimplified but I am learning those finer points of the process as I continue to learn and apply these concepts into every job we do. That is a great report. I have only skimmed it but will definitely read through deliberately when I have the time. I am liking this forum more and more. Thank you all for your support and assistance. This makes life a lot easier.